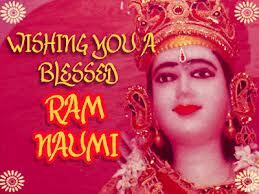 Ram Navmi is celebrated on 20 April 2013. 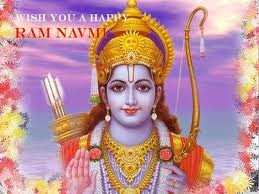 Ram Navmi Festival is celebrated to Birthday of Lord Rama.Sri-Ramnavami is dedicated to the memory of Lord Rama. It occurs on the ninth day (navami). The festival commemorates the birth of Rama who is remembered for his preperous and righteous reign. 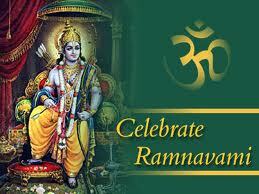 Ramrajya (the reign of Rama) has become synonymous with a period of peace and prosperity. 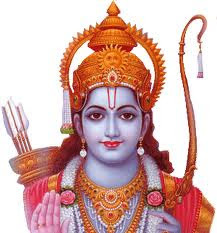 Mahatma Gandhi also used this term to describe how, according to him, India should be after independence.It was a joyous occasion in Ayodhya all those centuries ago when King Dasharath's heir was finally born. It was like a dream come true for the king as the lack of an heir had troubled him sorely for many years. 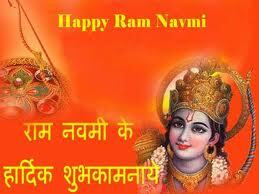 Lord Rama is an avatar of Lord Vishnu who came down to earth to battle the invincible Ravana in human form. 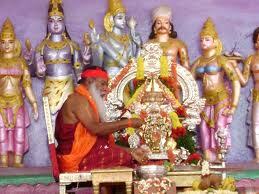 Lord Brahma had been receiving complaints from all the gods about the havoc that Ravana was wreaking on earth, but because Lord Brahma had granted Ravana so many boons, he could not be killed by a god. 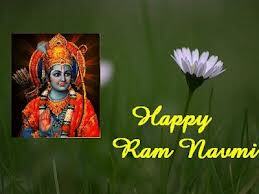 But Ravana had become so overconfident that he would never expect an attack from a human being. 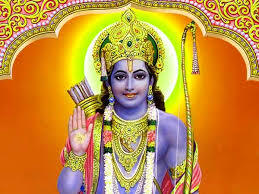 So Lord Vishnu agreed to go to earth in the guise of Prince Ram, the son of King Dasharath and Queen Kaushalya. 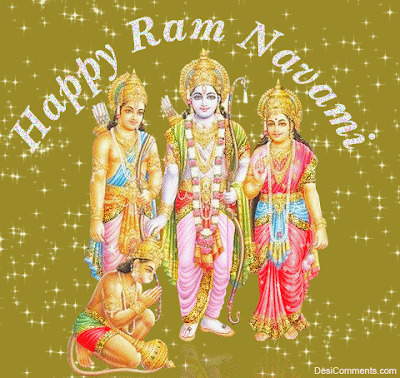 The story of Lord Rama as told in the great epic Ramayana is one that most Indians know irrespective of caste, creed and religion. 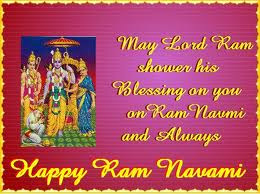 Lord Rama is a legendary figure, the epitome of all that is good and true, the man who vanquished the demon king Ravana. 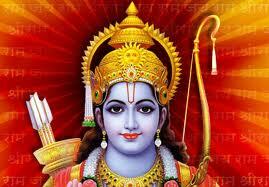 Lord Rama is not just a hero, but has been given the status of a god by the Hindus. 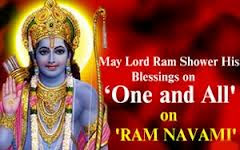 Therefore, it comes as no surprise that his birth is celebrated year after year with great pomp and enjoyment on the ninth day after the new moon in Sukul Paksh (the waxing moon), which falls sometime in the month of April. Four storeys - even the original Ravana may not have been so tall. But this is the Kali Yuga, when evil is supposed to assume an even more terrifying form. Ravana has his moments of glory, and that too, on Rama Navami, the birthday of Rama. The effigy of the ten-headed Ravana swaggers through the town, wearing a gaudy crown and exaggerated moustache, with shouting hordes following. 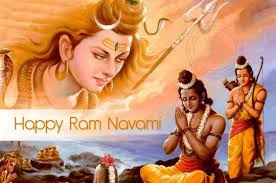 But once Ravana reaches the open ground that is his final destination, he is suddenly deserted by most of his "followers" - because the noble Rama has made his appearance. 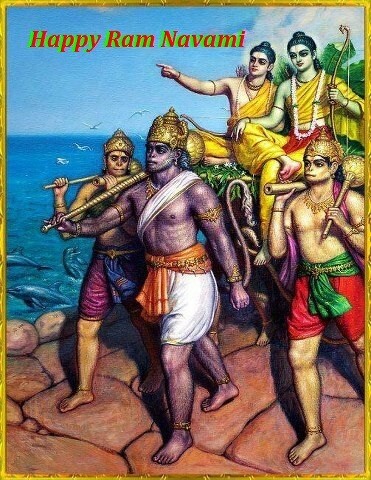 In the end, righteousness does triumph, even in Kali Yuga. 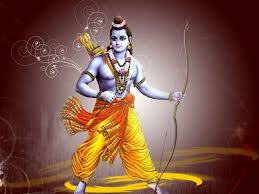 Rama engages him in battle, and finally pierces him with a potent arrow. 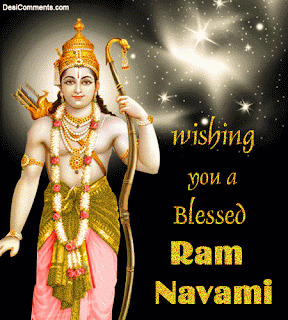 And the huge effigy of Ravana, filled to bursting with firecrackers, is set alight, and explodes into a thousand bits amid loud cheers from the crowd and shouts of Jai Shri Ram. 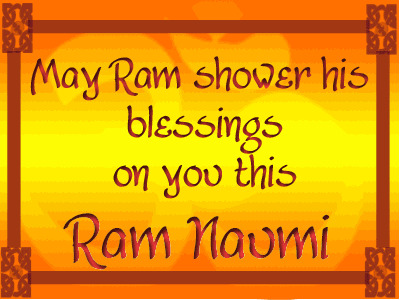 This ritual is an important part of the Rama Navami celebrations in most parts of North India. 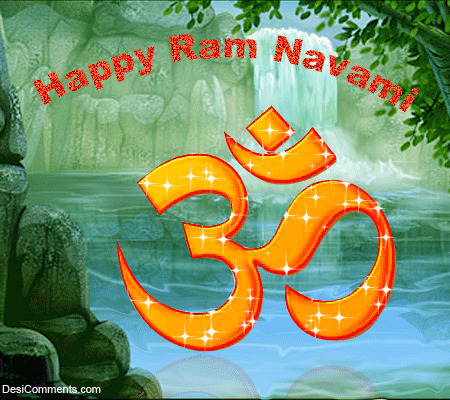 Rama Navami falls on the ninth day of the shukla paksha, or bright phase of the moon, in the lunar month of Chaitra (April-May). 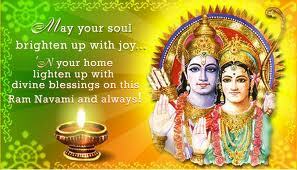 The first day of Chaitra , or Ugadi, also marks the beginning of the Indian year. 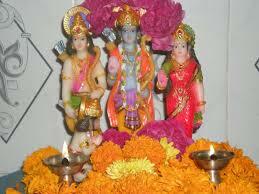 Rama is one of the ten avatars of Lord Vishnu, and one of the two most popular, along with Krishna. 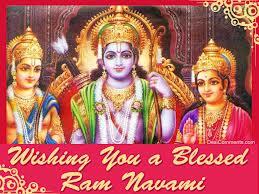 Consequently, Rama Navami is widely celebrated, though not on the scale of festivals like Diwali or Dussehra. 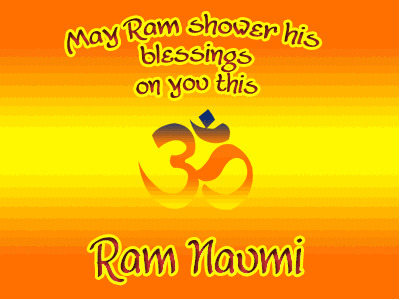 According to legend, Rama was born at noon. 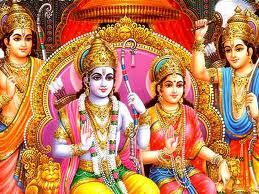 Rama is the epitome of perfection, the uttama purusha, fulfilling all his duties towards both family and subjects. 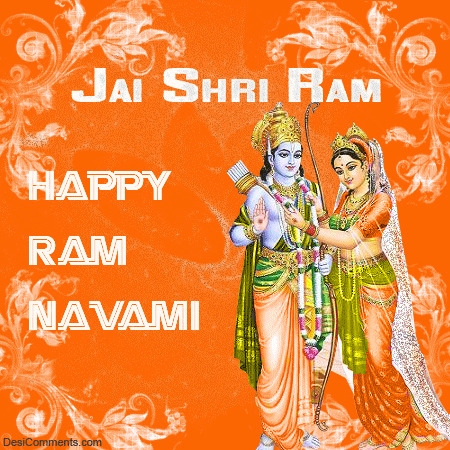 Ram kisi bhaanti bhaji,Ravan ki reeti taji.Jai Shri Ram!